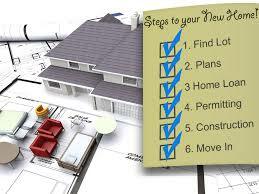 The NAHB (National Association of Home Builders) new construction forecast points towards an increase in new home sales. Economists evaluated the growth of families, a strong economy, and employment gains as fuel to support the demand for new home construction. Although the demand will support the growth of new construction, the supply of the three “L’s”: Lots, Labor, and Lending can dampen certain markets. Lots: Over 60% of the nation’s builders report the lack of supply of available & buildable land. In Collier County, we have been witnessing the resurgence of independent builders as well as national firms. Golden Gate Estates has single family home construction on vacant lots of various sizes. The price of residential acreage has increased annually creating more demand to buy sooner than later. Many larger builders are scooping up acreage to build communities with a handful of homes, many without any amenities common to the larger developments. Labor: The demand for housing has left some jobs unfulfilled, yet continued economic growth and rising wages has added some balance to the labor deficit. Lending: Mortgage rates may increase over time but can be offset by stronger wage gains and job increase. An increase in housing demand will ensue. To maintain balance in the new construction market, new home prices will need to be moderate and not far exceed home demand. Construction loans are on the rise but not keeping pace with the need for new homes. Regulations have discouraged many banks from underwriting loans on “dirt,” and the less risky multifamily dwelling developments that offer solutions to those would-be homeowners who need to rent due to rising home prices. Regulatory costs can average 25% of total building costs which contributes to the lack of entry level lower priced new homes. Millennials have entered the housing market and townhouse construction has been the bridge to home ownership. Affordability will be a major issue in 2017 along with housing supply. Mortgage rate increases will be moderate while single -family production will rise 10% this year and 12% in 2018.